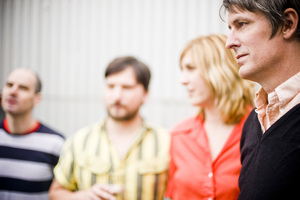 Tonight: Stephen Malkmus and the Jicks are at Koko to support their latest album, Mirror Traffic, and are bringing Weird Dreams along for the ride. Tuesday: chill waver Washed Out is at Heaven with the hotly tipped John Maus. Wednesday: electro indie rocker Neon Indian is at Heaven. Dave Hyde of the Futureheads is bringing the sunshine pop of his new project Hyde and Beast to Water Rats. Thursday: quirky folk artist My Brightest Diamond is at St Giles-in-the-Fields. Friday: Sheffield indie poppers Standard Fare are at the Wilmington Arms. Saturday: experimental rockers and IT Crowd favourites Sweet Billy Pilgrim are playing a free show at Union Chapel. Sunday: catch the low-key UK debut of Brooklyn's Class Actress at the Lock Tavern.